Thanks for your participation in the contest [Contest] Either a daring adventure or nothing. 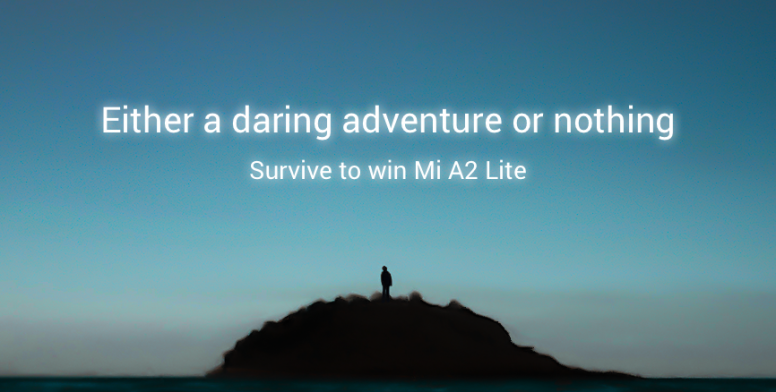 Survive to win Mi A2 Lite! Please send your real name, complete residential address (including city, state and country name), along with phone number to @Elaine2046 via PM within one week (strict deadline). Failing to do so, you won't be able to claim your prize anymore! Thanks. Thank you for all the Mi Fans who joined our adventure, we will give the "Cast Away" medal to every participant soon! How do you like travelling alone? Do you had any exciting experiences during your journey? 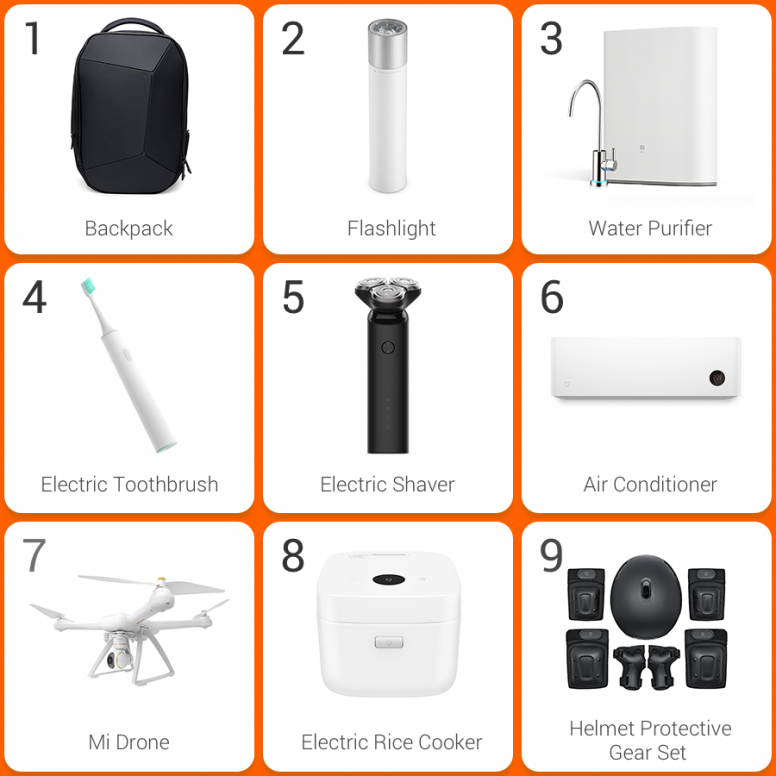 Let’s say if you’re on an adventure, drifting on a desert island where there's only one electric generator, and you can only pick three Mi products to take with you, which three products would you choose? Pick three Mi products in the below picture, and share your thoughts with us before 18th April. You might have a chance to win a Mi A2 Lite! 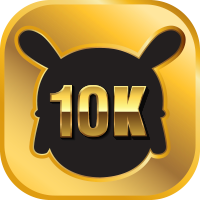 And for anyone who replied with valid entries will also get a new “ Cast Away” medal! (First winner will be selected from 4%, 16%, 29%, 37%, 49%, 56%, 68%, 77%, 81%, 90%, 97% of the total number of replies which are encrypted in the file below ). 2. Participation Award: Anyone who replied with valid entries will get "Cast Away" medal. Each ID can win ONLY 1 prize. All irrelevant Replies/Spams will be disqualified and may get a warning. Prize winner must be the author of valid answer. Winner of irrelevant answers, such as "great, thanks, ok" etc. will be disqualified and prize will go to the author of next valid reply. I choose backpack for keeping food. Water purify for clean water. Air Conditioner for survive in hot temperature. and if I can choose one more, I want my Xiaomi phone too. Rest food (pakaged) and water (packaged) would be in bag. might at last movement shall replace helmet gear with drones for getting details of nearby places that might help in moving forward. I'll have the backpack, flashlight and the protective gear set. I guess they're the essentials to survival. Announced on 22rd April Hello Mi Fans,Thanks for your participation in the contest Either a daring adventure or nothing. Survive to win Mi A2 Lite!Password for Zip: MiadventurerCongrats on our First Prize Winner (Mi A2 Lite): 2/149G (Mi ID: 1674593640)Please send your real name, complete residential address (including city, state and country name), along with phone number to @Elaine2046 via PM within one week (strict deadline). Failing to do so, you won't be able to claim your prize anymore! Thanks.Thank you for all the Mi Fans who joined our adventure, we will give the "Cast Away" medal to every participant soon!Stay tuned for our next round contest!Hello Mi Fans,How do you like travelling alone? Do you had any exciting experiences during your journey? Let’s say if you’re on an adventure, drifting on a desert island where there's only one electric generator, and you can only pick three Mi products to take with you, which three products would you choose?Use your imagination and join us on this adventure. We might “meet up” and have some fun on this desert island. (wink wink)How to participate:Pick three Mi products in the below picture, and share your thoughts with us before 18th April. 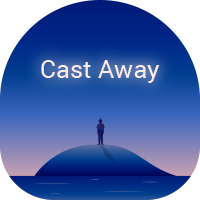 You might have a chance to win a Mi A2 Lite!And for anyone who replied with valid entries will also get a new “ Cast Away” medal!Contest Time:Contest ends on 18th April 2019 (Beijing Standard Time)Prizes:1. First Prize (1 Winner): Mi A2 Lite (First winner will be selected from 4%, 16%, 29%, 37%, 49%, 56%, 68%, 77%, 81%, 90%, 97% of the total number of replies which are encrypted in the file below ).2. Participation Award: Anyone who replied with valid entries will get "Cast Away" medal.Contest Rules:Each ID can reply at most 3 times.Each ID can win ONLY 1 prize.All irrelevant Replies/Spams will be disqualified and may get a warning.Prize winner must be the author of valid answer. Winner of irrelevant answers, such as "great, thanks, ok" etc. will be disqualified and prize will go to the author of next valid reply.